"Hello. 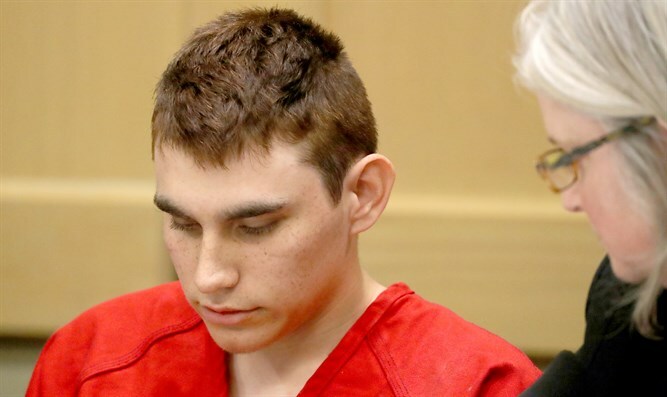 My name is Nick, and I'm going to be the next school shooter of 2018," said Nikolas Cruz, a 19-year-old American student who carried out the Florida high school massacre and murdered 17 people in February this year. "My goal is at least 20 people, with an AR-15 rifle and a couple tracer rounds; I think I can 'do it git done'," Cruz said on his cell phone, laying out in detail the school massacre where he once studied. Performing his best impersonation of a military commander issuing a warning order, Cruz stated: "Location - is Stone Douglas in Parkland, Florida." He concluded the video by saying: "You're all going to die, ... can't wait." Last March he was indicted on 17 counts of first-degree murder and, if convicted, is liable to be sentenced to death. The mass shooting at the Parkland High School was considered the most fatal in American history. The new video, revealed last night, joins a series of warning flags about Cruz. On social networks he admitted privately he held eliminationist attitudes. In addition, Cruz wrote that he hoped to kill Mexicans in the future, and tie blacks in chains and tear out their throats. A man who knew Cruz contacted the FBI earlier this year and warned that his acquaintance intended to go on a shooting spree. He even reported the Cruz's weapons and unusual behavior, which were also displayed in social networking posts. The informant concluded the report warning of "a real potential for a massacre at the school". Days after the massacre, CNN released a video in which Cruz appears to be conducting target practice in his home backyard, adding to reports by students and teachers in the school warning of Cruz's habits and behaviors. They said he was a social outcast and that his conduct was always unusual.